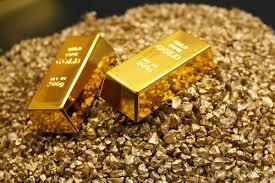 Gold jumped to two-week high of $1237.94 in Asia on broad based USD selling. The trend line sloping upwards from Jan 27 low and Mar 10 low is seen offering resistance around $1240 levels. The metal was last seen trading around the session highs and looked set to test supply around the trend line resistance. The bullish move gathered pace after the news hit the wires that Trump's care bill has been rejected yet again by Republicans. The health care affair was largely seen as test of Trump’s legislative ability. The failure here means the task of pushing through tax reforms would be even more difficult. Consequently, the greenback has been offered across the board. The Dollar Index dropped to 84.74; the lowest level since September 2016. A break above the trend line hurdle of $124 would open doors for resistance at $1247 (100-DMA) and $12583.90 (June 23 high). On the downside, breach of support at $1232.50 (session low) could yield a re-test of $1229.59 (200-DMA). An end of the day close below the 200-DMA would signal the corrective rally has ended, in which case the support at $1217.63 (July 5) could be put to test again.